Boxes are fun, especially to a 19 month old. I was playing with my kids one afternoon when the youngest climbed into this box. I will never know what he was thinking but you can see from the look on his face he enjoyed being in the box. 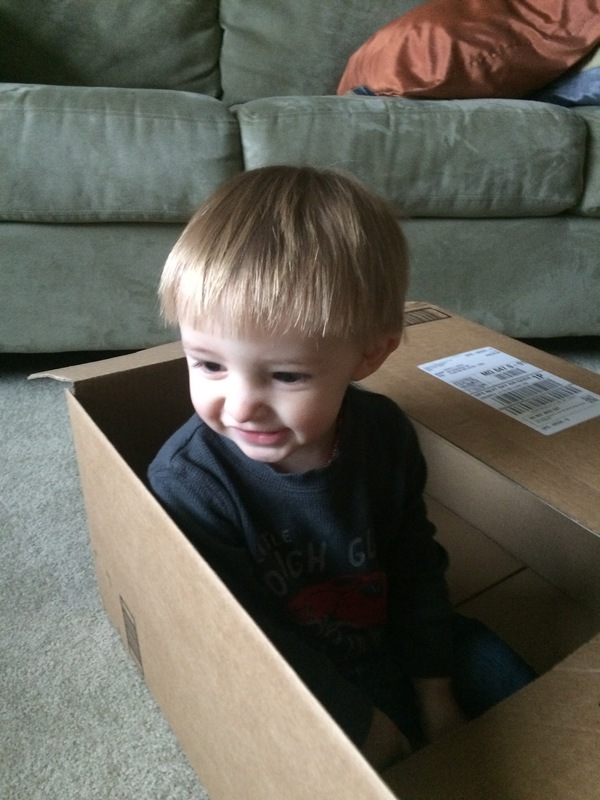 Maybe he was pretending the box was a boat, a car or an airplane – who knows. Boxes are fun to play in when you’re a kid but for the rest of us boxes can be a problem. We all have a comfort zone, each of us tends to live our lives in a box and repeat the things we know and avoid things we don’t know or things that are uncomfortable but the box we stay in may be preventing us from reaching our full potential. I’d challenge you to step outside your box. Make a point to try something new or do something that’s uncomfortable. Once you’ve done that enough times your box will get bigger and before long your box will be so big you’ll not even know it’s there. This entry was posted in Uncategorized and tagged Leadership. Bookmark the permalink. Always enjoy reading your blog posts.